Costs – Colorado Springs, Colorado includes a sea of trees that require proper care and sometimes removal to promote a healthy landscape. If your backyard or property includes some of these beauty trees, find out ahead of time what you will pay with these statistics and a chart we’ve compiled for your convenience. FAQs – Colorado Springs is home to the mighty Colorado blue spruce, along with a variety of other trees. See which trees will fit your needs, what the city requires of its residents in terms of care, diseases to be aware of on your trees, and what to do when planting new trees to promote their healthy growth. Services – With so many trees in Colorado Springs, there are plenty of arborists ready and willing to help you get them in shape. Peruse our list of professionals to find the one who fits your need and your geographical area. How Much Do Tree Services Cost in Colorado Springs? Tree removal in Colorado Springs can drastically improve the appearance and overall value of your property, whether it’s a home in the suburban area or in the outer ranch lands near the Garden of the Gods. Cutting back and trimming some of them now because they’re aged, rotting or about to fall will make room for new trees. Below are the average costs for tree and stump removal and tree maintenance in the area. How Much Does Tree Removal Cost in Colorado Springs? Property owners in Colorado Springs spend around $611 on tree removal services. This is a bit more than the statewide average, but it’s only about half of the national average. Trees and stumps that are blocked by thick, brambly growths, oddly shaped hills or other impediments may cost more to remove. Those that have grown around utility fixtures or power lines become more dangerous to cut back, meaning that these jobs also carry higher price tags although some trees near power lines are eligible for a free trim from the city. These services can change the price in range, varying it lower or higher between $524 and $698. How Much Does Stump Removal & Grinding Cost in Colorado Springs? The average cost for stump grinding in the Colorado Springs area is about $75-$149 per stump depending on the size of the stump in terms of circumference, in addition to the type of wood and the location in the yard. These factors will determine how long it will take to grind the stump down far enough into wood chips that grass can grow over it. Stump removal in the area is higher, around $200 to $250. This will take longer and involve completely uprooting the stump from the ground, so you may have to pay additional and unrelated costs for landscaping the yard after the removal. How Much Do Tree Trimming and Pruning Cost in Colorado Springs? Tree maintenance services in Colorado Springs will cost homeowners around $325. This could include trimming, pruning and cutting the trees in their yard. These prices can vary, based on whether their trees have a lot of branches, are very high, close to power lines or the home, or any other circumstances that might make the job harder or take longer for the tree service professional. In these types of cases, the price can vary in range between $269 and $381. Colorado Springs property owners bring a lot of life to the city by maintaining their trees. Vegetation plays a huge role in creating the iconic look that the area is know for, but many people aren’t aware that the city has strict regulations governing what they can do with their trees. Here are some tips on keeping your tree care routine legal and how to take advantage of your unique geographic location for better growths. What are the Tree Regulations in Colorado Springs? All landowners are prohibited from growing trees that overhang sidewalks or streets unless they’re pruned to a height that is eight feet over sidewalks and 14 feet over the roadway. In addition, the tools used for pruning and cutting must be disinfected following their usage. It’s unlawful to plant or modify existing trees in a public right of way, so make sure you’re working within the boundaries of your own property. When Should I Remove a Tree in Colorado Springs? There’s not really a uniform ideal time to prune all tree species, but the job is much easier with younger specimens, so earlier is better. Removal is much the same; many old growths that are difficult to take down would have been much simpler to handle when they weren’t as extensive. The best month is before the ground freezes for the winter, so from September to October. How Can I Take Care of the New Trees I Plant? Some trees thrive much better than others in the arid climate of Colorado. The Colorado blue spruce (Picea pungens) is the state tree, and like many other historically significant species of vegetation in the region, it is able to withstand low-water conditions by storing water in its needles. This is especially important given the fact that Colorado Springs regularly enacts watering restrictions during droughts. Remember that some of these shorter species, like the crabapple and the serviceberry (Amelanchier), also produce fruit, so you may not want to place them near your sidewalks and pathways. 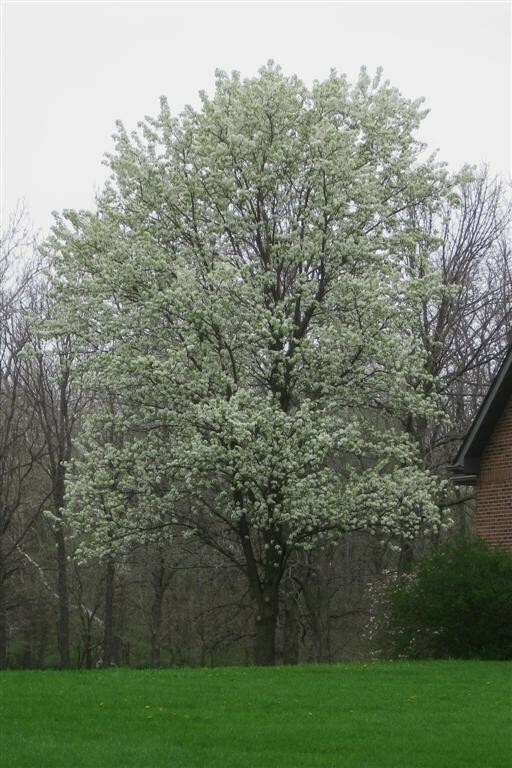 Other species, like the elm, American sycamore, bald cypress and American beech, grow much taller than other trees will in the area, so they’re best left to wider open spaces. Don’t forget to establish a good watering routine during winter. As long as the temperatures remain higher than 40 degrees Fahrenheit, you should continue watering your young trees and established growths in accordance with your local regulations. Make sure to water in the morning so that nothing freezes overnight. During the summer months, you’ll have to flip your schedule around. From May to October, you’re not allowed to water between 10 a.m. and 6 p.m. to reduce the amount of water lost to evaporation, so make sure to keep up keep up with the seasonal rules to avoid fines. What are the Common Tree Diseases in Colorado Springs? 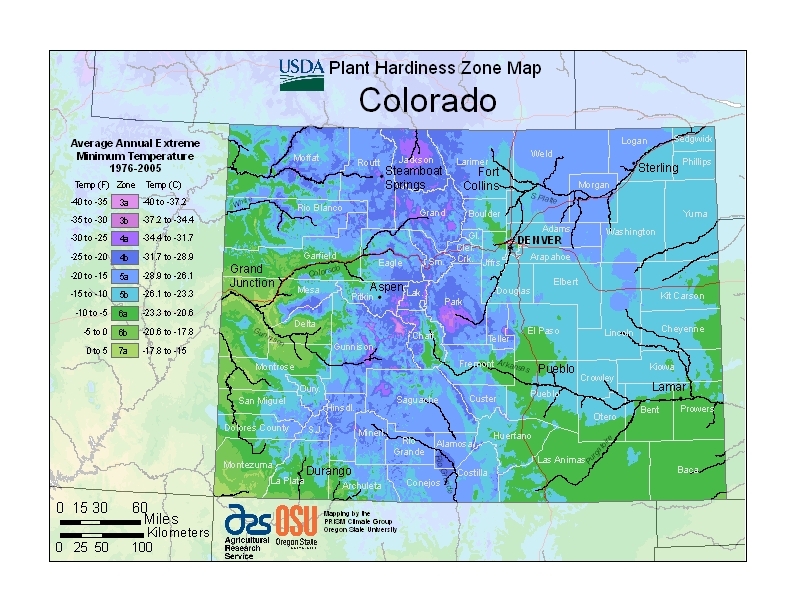 Like any other area, Colorado Springs is subject to numerous blights and diseases that strike vegetation. A big concern is the fungus Ceratocystis ulmi. Trees found to have this infestation are legally required to be removed and buried or processed by authorities to prevent spreading, so regular inspections are important. Other things to watch out for include small European elm bark beetles (Scolytus multistriatus) and mountain pine beetles (Dendroctonus ponderosae). Elms, a number of popular trees in the Ulmus genus, and pine variants that show signs of these infections are to be immediately removed and treated. These parasites usually target dead trees and rotted growths. You can grow many different kinds of landscaping, ornamental, fruiting and flowering trees in Colorado as long as they are drought-tolerant. Colorado has a thriving forestry system, and the Colorado Springs area in particular is well-known for its love of vegetation. There are plenty of support resources and garden centers in your area, so there’s nothing stopping you from growing great trees to accentuate your property.